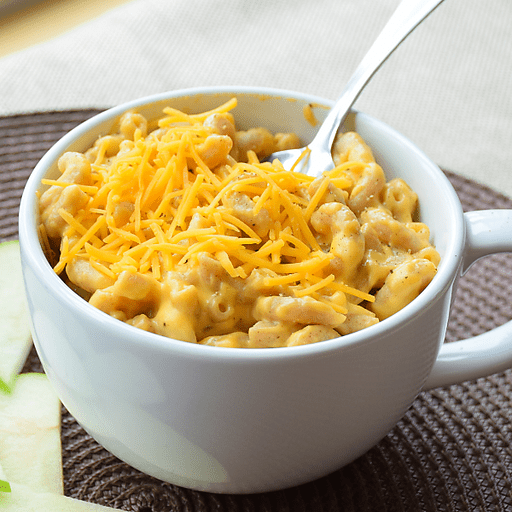 Step up your mac 'n cheese game with this creamy version that's packed with good-for-you whole grains and Greek yogurt. 1. Prepare the pasta according to the package directions and transfer to a large bowl. 1. While pasta is still hot, add cheese and stir until melted. Add in the Greek yogurt, salt, pepper, onion powder and garlic powder. Stir until well combined. Serve immediately. Try adding cooked chicken breast, broccoli, cauliflower, mushrooms or spinach to your mac & cheese. For gluten free: use gluten free pasta in place of whole wheat macaroni. Calories 290, Total Fat 14g (Saturated 8g, Trans 0g), Cholesterol 40mg, Sodium 250mg, Total Carbohydrate 28g (Dietary Fiber 3g, Sugars 4g), Protein 16g, Vitamin A 8%, Vitamin C 0%, Calcium 30%, Iron 8% *Nutritional values are an approximation. Actual nutritional values may vary due to preparation techniques, variations related to suppliers, regional and seasonal differences, or rounding.